The newest controversial issue burning on social media, argued by members of Congress, and circulating around the world is the tragic separation of immigrant children from their parents at the U.S. border. On January 25, 2017, President Trump issued an Executive Order: Border Security, and Immigration Enforcement Improvements that, among other things, prevents illegal immigration into the United States and expands the use or construction of detention centers at or near the southern border. The problem with Trump Administration’s “zero tolerance” policy is that it undermines human rights by treating every person who crosses the border illegally as a criminal—even if in most cases they are asylum seekers—which is not illegal or a crime. Further, his new policy allows for the criminal prosecution of adults who do not enter the U.S. through a legal port of entry and they undergo deportation procedures separate from their children who are not referred for prosecution. As a result, border patrol agents actively separate children from their parents. To date, there are more than 11,000 immigrant children currently in detention with the government holding contracts with at least 100 “shelters” located in 17 states to house these immigrant children. How is this happening in 2018 and in America? This is not only poor policy but immoral that minor children are separated from their parents. If the government wants to and must confine these families that illegally cross the border, then confine them together or repatriate them together but to separate children from their parents without preparations, documentation, and warning and then lose track of these children or for parents to not know the condition of their children’s location, well-being, and fate is inhumane and criminal. The federal government has tighter internal controls for the possession, acquisition, exchange, sales, transfer, and disposal of personal property than they do for these immigrant children. Did you know that animals owned by the federal government are considered personal property? It’s true. Therefore, if these immigrant children are caged, confined and treated like animals, should they also not be treated as well as federal personal property? Afterall, the government did take “possession, transfer, and dispose” of these children like personal property and is responsible then for overseeing and managing them. Sadly though children are not treated and tracked as well as federal personal property and these detention centers are more like prisons than like summer camps. Detainees referred to these detention centers as “cages” or “ice boxes” because they are confined within chain-link fences and/or are in extremely cold rooms. The risk of these immigrant children being abused and neglected or being lost within the system can and has occurred. On top of the egregious act of separating families, the government and its contractors are cashing in on this nightmare. 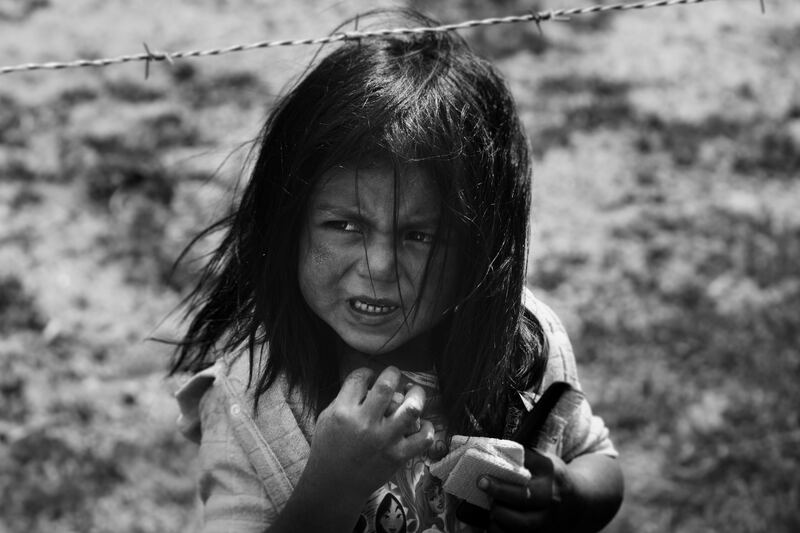 As the government prepares a tent city in Tornillo, Texas with about 4,000 beds to house immigrant children; and Walmarts are being used as detention centers; and existing detention centers are ramping up; and more detention centers are being built and operated by private prison corporations across the country to house these hostage immigrant children, we taxpayers are left to foot the bill. Additionally, reports of private prisons skimping on detainee care is common in order to maximize profits. One facility in Conroe, Texas facility is expected to house 1,000 detainees at a taxpayer cost of at least $44 million per year. We can expect that hundreds of millions of dollars will be fleeced from the American public to build unnecessary detention centers in our communities and then to poorly oversee and manage the undignified, immoral, and illegal detention of immigrant children. The human and financial costs to bear will be high and I suspect, that before this situation gets better, it will likely get worse. A. Cabrer has worked with local economic development organizations as well as with the UNDP's Gender in Development Programme and the UN's Commission on Sustainable Development in New York.